Locality: United States, Colorado, Montezuma, Northwest corner of Ishmay land near Yucca House National Monument. 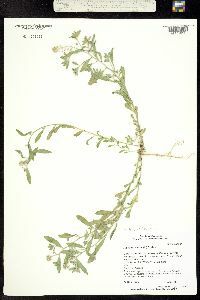 Habitat: Associated species: Juniperus osteospermum, Artemisia tridentata, Guttierezia sarothrae, Lappula redowski, Escobaria, Descurainia, Chorispora tenella. 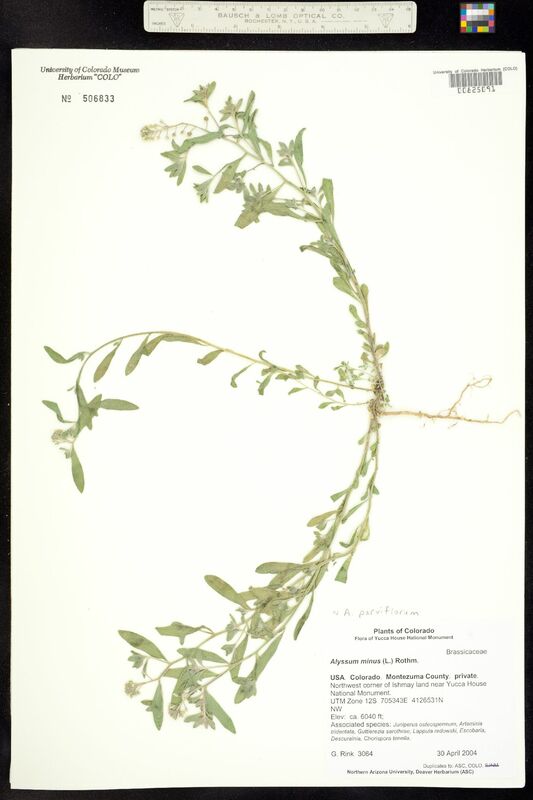 Occurrence Remarks: Original ID: Alyssum minus. Flora of Yucca House National Monument.